One of the most courageous is the beautiful young historian Sarah Dougan, who uncovers shocking evidence that the nuclear attacks might not have been planned by Israel, evidence that, if true, will destabilize the nation. When Sarah suddenly goes missing, the security chief of the Islamic republic calls upon Rakkim Epps, her secret lover and a former elite warrior, to find her -- no matter what the risk. But as Rakkim searches for Sarah, he is tracked by Darwin, a brilliant psychopathic killer trained in the same secretive unit as Rakkim. To survive, Rakkim must become Darwin's assassin -- a most forbidding challenge. A bloody, nerve-racking chase takes them through the looking-glass world of the Islamic States of America, and culminates dramatically as Rakkim and Sarah battle to expose the truth to the entire world. 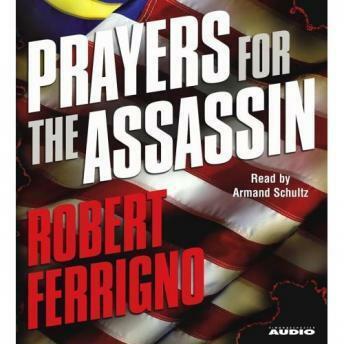 Robert Ferrigno's Prayers for the Assassin shows the novelist at the height of his powers, and delivers a masterful, unforgettable read.